This was purported to me to be science fiction. Science fiction, according to my understanding, is a form of literature in which the question of what if is asked and something fantastic is inserted after the what if. It then gives a possible answer to the question. The fantastic is an object, character or event that we do not know to be possible, but is likely to be an extrapolation of what we do know to be scientifically possible. To put it another way, I once read somewhere that if you write a story about an eggbeater, that is not science fiction, but if you write a story about an eggbeater before the eggbeater has been invented then that is science fiction. All the eggbeaters in this story have been invented. This is not science fiction. 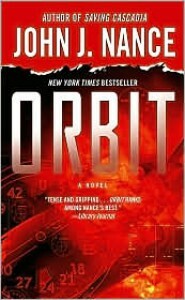 The main character is a space tourist who has won a sweepstakes that allows him a trip into orbit and once he gets there a micrometeor or a piece of orbital debris puts a hole in the head of the pilot, but leaves the craft intact even if the radio and some other equipment is damaged. The protagonist, thinking he is about to die and having no way to communicate with ground, starts typing his life story on a laptop computer thinking that no one will ever read it or, if they do, it will be fifty or a hundred years in the future. He names names of the people in his life and writes in the most intimate detail. Unbeknownst to him there is a downlink to his musings to the Internet and around the world billions read everything he writes and hang on to his every word. His friends and family all reconcile with him and he generates good will everywhere and makes himself a hero. People around the world reevaluate their lives and start living in a better way. Aw! Come on! If that really happened he would make everyone hate him and once he found out that everyone was reading everything he would be humiliated. Despite my criticisms, though, this was a very enjoyable read.